MLOTTO BANK 3 and MEGA MILLIONS has been featured before on Promo Blog. If you missed it, Find it HERE to guide you on How to Play. 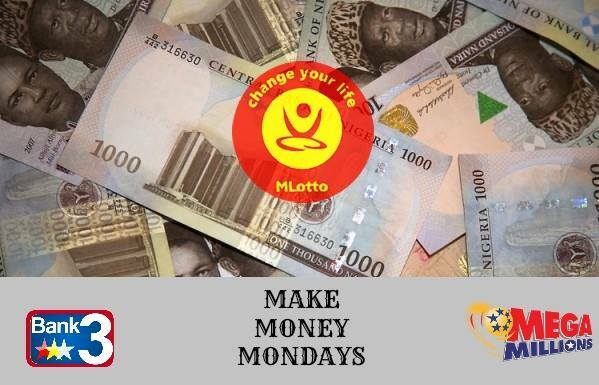 It's MLOTTO MAKE MONEY MONDAYS! Get up and play MLotto now to make some quick and easy cash!